For at least the past two decades, medical educators have worked to improve patient communication and health care delivery to diverse patient populations; despite efforts, patients continue to report prejudice and bias during their clinical encounters. Targeted instruction in implicit bias recognition and management may promote the delivery of equitable care, but students at times resist this instruction. Little guidance exists to overcome this resistance and to engage students in implicit bias instruction; instruction over time could lead to eventual skill development that is necessary to mitigate the influence of implicit bias on clinical practice behaviors. To explore student perceptions of challenges and opportunities when participating in implicit bias instruction. 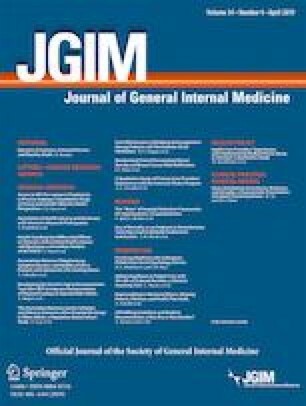 We conducted a qualitative study that involved 11 focus groups with medical students across each of the four class years to explore their perceptions of challenges and opportunities related to participating in such instruction. We analyzed transcripts for themes. Our analysis suggests a range of attitudes toward implicit bias instruction and identifies contextual factors that may influence these attitudes. The themes were (1) resistance; (2) shame; (3) the negative role of the hidden curriculum; and (4) structural barriers to student engagement. Students expressed resistance to implicit bias instruction; some of these attitudes are fueled from concerns of anticipated shame within the learning environment. Participants also indicated that student engagement in implicit bias instruction was influenced by the hidden curriculum and structural barriers. These insights can inform future curriculum development efforts. Considerations related to instructional design and programmatic decision-making are highlighted. These considerations for implicit bias instruction may provide useful frameworks for educators looking for opportunities to minimize student resistance and maximize engagement in multi-session instruction in implicit bias recognition and management. An earlier version of this study was presented in abstract form at the Annual Meeting of the Society for General Internal Medicine in Toronto, Ontario, Canada, in 2015. The online version of this article ( https://doi.org/10.1007/s11606-019-04891-1) contains supplementary material, which is available to authorized users. The authors wish to thank Drs. Clarence Braddock, III, William Southern, and A. Hal Strelnick for their thoughtful feedback from study inception to completion; Ms. Veronica Aviles and Ms. Natalia Rodriguez for their generous assistance; and Drs. David Irby and Paula Ross for their thoughtful feedback on previous iterations of the manuscript. Dr. Gonzalez was supported by the Harold Amos Medical Faculty Development Program of the Robert Wood Johnson Foundation grant number AMFDP 70639, Bureau of Health Professions of the Health Resources & Services Administration of US Department of Health and Human Services grant number D3 EHP16488-03, NIH/NICHD grant number R25HD068835, and the Macy Faculty Scholars Program of the Josiah Macy Jr. Foundation. Dr. Marantz was supported in part by NIH/National Center for Advancing Translational Science (NCATS) Einstein-Montefiore CTSA grant numbers KL2TR001071, TL1TR001072, and UL1TR001073, and by NIH/NICHD grant number R25HD068835. Dr. McKee was supported in part by 1R25HS023199-01 (Marantz) and NIMHHD U2400694102 (Tilley). All aspects of the study were approved by the Institutional Review Board of the Albert Einstein College of Medicine. Confidentiality safeguards were affirmed, and written informed consent was obtained from all participants.